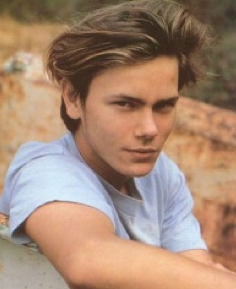 River Phoenix's, the older hotter brother of Joaquin who passed away when he was 23, final movie that he was filming when he passed away may be released in 2012. The director, George Sluize, is planning on re-editing the original footage and doing some adjustments and hopefully some voice overs by Joaquin. The film, currently titled Dark Blood is about a guy who lives alone in the desert on a nuclear testing site waiting for the end of the world when he encounters a Hollywood couple and starts a relationship with the wife. Weird.